Posted on September 28, 2015 by Mary Hazen. This entry was posted in Staying Healthy and tagged national yoga month, yoga. Bookmark the permalink. Whether you practice yoga daily or have just taken your first yoga class, you’ve probably noticed some benefits – relaxed state of mind, better sleep, or more energy. 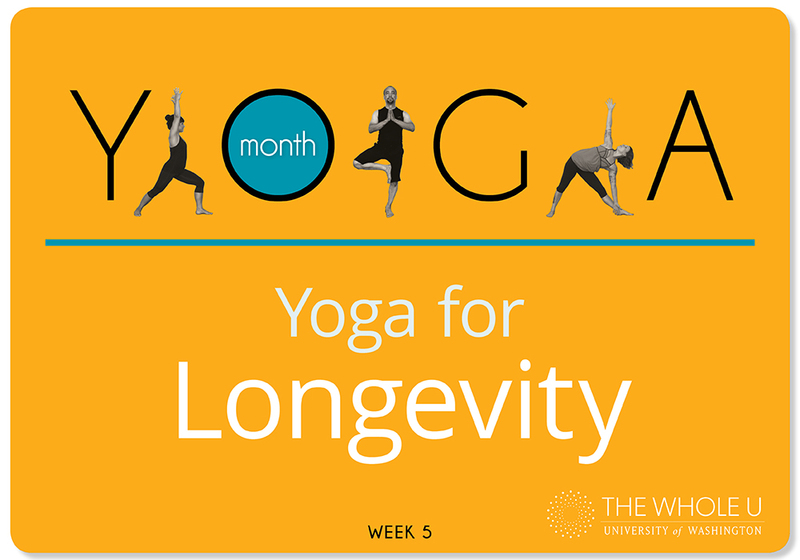 Although we are still learning and measuring yoga’s benefits, Western science is uncovering clues about this ancient practice and it’s affect on longevity and life span. Here are just 12 of the many benefits that influence longentivity and promote a long, healthy life. Yoga takes joints through their full range of motion, which helps joint cartilage receive fresh nutrients, prevents wear and tear, and protects underlying bones. This also helps prevent degenerative arthritis and mitigates disability. Many postures in yoga require weight bearing, which strengthens bones and helps ward off osteoporosis. Specifically, yoga strengthens arm bones that are particularly vulnerable to osteoporotic fractures. Many studies have shown that yoga practice increases overall bone density. Yoga gets your blood flowing! Relaxation helps circulation, movement brings more oxygen to your cells (which function better as a result), twisting brings fresh oxygenated blood to organs, and inversions reverse blood flow from the lower body to the brain and heart. Additionally, yoga increases hemoglobin levels in red blood cells, helping prevent blood clots, heart attacks, and strokes. Yoga movements aid in draining lymph, allowing the system to better fight inflection, destroy diseased cells, and rid toxic waste in the body. Furthermore, meditation appears to have a beneficial effect on the functioning of the immune system, boosting it when needed (i.e. raising antibody levels in response to a vaccine) and lowering it when needed (i.e. mitigating an inappropriately aggressive immune function in an autoimmune disease like psoriasis). Many classes such as power yoga can boost heart rate into the aerobic range. Studies found that yoga can lower resting heart rate, increases endurance, and improves maximum uptake of oxygen during exercise—all reflections of improved aerobic conditioning. Studies have also found that those who practice pranayama or “breath control” are able to do more exercise with less oxygen. Regularly moving heart rate into the aerobic range lowers risk of heart attack and can relieve depression. Yoga lowers cortisol levels. If high, they compromise the immune system and may lead to permanent changes in the brain. Excessive cortisol has also been linked with major depression, osteoporosis, high blood pressure, and insulin resistance. Yoga lowers blood sugar and LDL (“bad”) cholesterol and boosts HDL (“good”) cholesterol. In people with diabetes, yoga has been found to lower blood sugar by lowering cortisol and adrenaline levels, encouraging weight loss, and improving sensitivity to the effects of insulin. Lowering blood sugar levels decreases your risk of diabetic complications such as heart attack, kidney failure, and blindness. Regularly practicing yoga increases proprioception (the ability to feel what your body is doing and where it is in space) and improves balance. Better balance could mean fewer falls. For the elderly, this translates into more independence and delayed admission to a nursing home or never entering one at all. Stimulation in our modern society can tax our nervous system. Yoga and meditation encourage turning inward of the senses and removal of stimuli, providing much needed downtime for the nervous system and better sleep—meaning you’ll be less tired, stressed, and less likely to have accidents. Yogis tend to take fewer breaths of greater volume, which is both calming and more efficient. Yogic breathing has been shown to help people with lung problems due to congestive failure and improve measures of lung function, including maximum volume of breath and efficiency of exhalation. Yoga promotes breathing through the nose, which filters, warms, and humidifies air. This helps prevent asthma attacks while also removing pollen, dirt, and other things you’d rather not take into your lungs. Yoga promotes healthy digestion by moving the body in ways that facilitate more rapid and efficient transport of food and waste products through the bowels. Healthy digestion helps lower the risk of colon cancer and diseases of the digestive track. 12. Encourages self-care and healthy lifestyle. Perhaps the greatest benefits of yoga is its ability to inspire and improve self-care and healthy living. As yogis tend to be more involved in their own health and care, they discover they have the power to effect positive change in their lives and tend to adopt more healthy habits. Over time, healthy living has a large impact on life expectancy. Research has shown that the benefits of yoga are tangible and that a consistent yoga practice can aid in longevity and increase life span. Now that you understand some of yoga’s many benefits, you’ll have even more motivation to step onto your yoga mat. Enjoy your “post-yoga bliss” and know that it’s making your body happy! 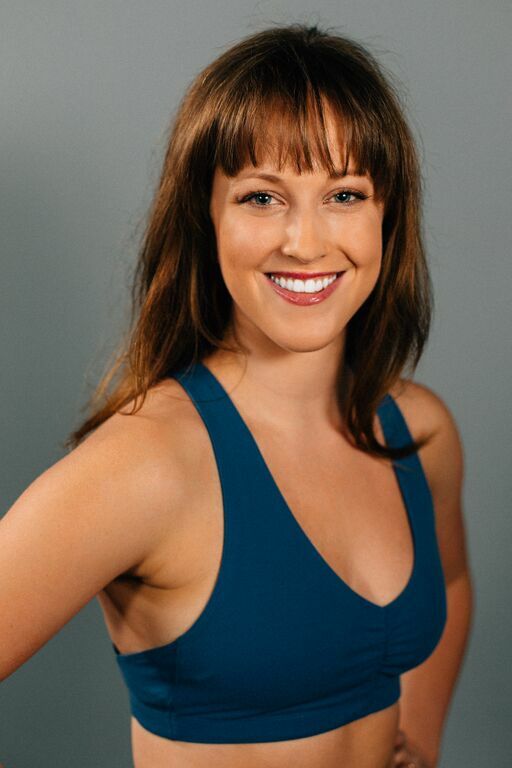 Mary is a studio manager and yoga instructor at CorePower Yoga, a Whole U Discount Partner. With a background in figure skating and dance, Mary immediately loved yoga and found that teaching yoga gave her even greater purpose and joy through sharing yoga with others. When Mary is not teaching yoga you will likely find her listening to live music, singing and dancing “of sorts”, and exploring new cities and the outdoors.